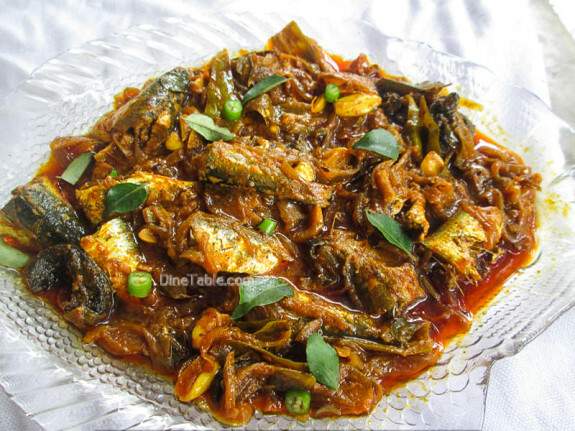 Mathi Roast Recipe / Sardine Fish Roast / Nadan Chaala Roast / ചാള റോസ്റ്റ് is a common and popular fish recipe, an all-time favourite dish of keralites. 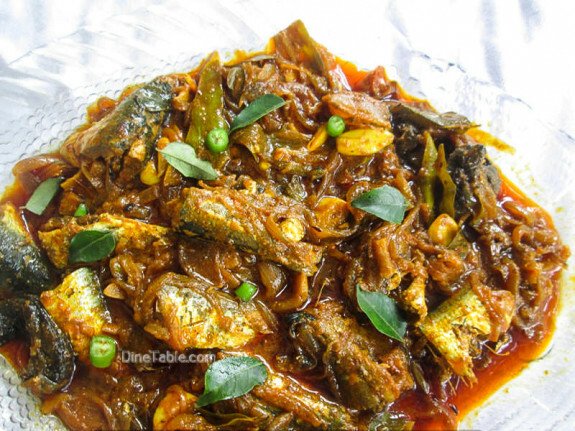 It is a dry gravy dish which is very easy to prepare and tastes great with rice, chappati, parotta etc. Sardine (locally known as Mathi or Chaala in Kerala), one of the inexpensive and tastiest fish available in South India. 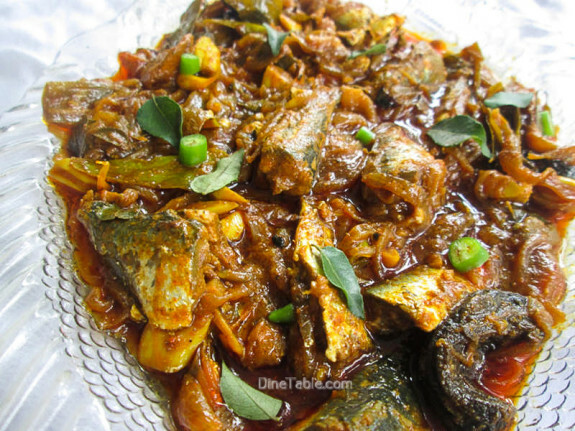 Sardines are one of the best sources of omega 3 fatty acids which reduces triglycerides, cholesterol, blood sugar level and the occurrence of cardiovascular disease. Regular consumption of omega-3 fatty acids reduces the likelihood of developing Alzheimer’s disease. It is also a good source of vitamin D, vitamin B-12, calcium, and protein. 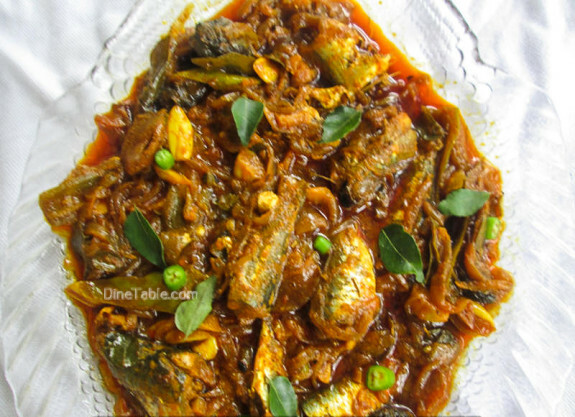 Click here for other tasty Kerala Style Fish Recipes..
Wash and clean the sardine with salt and cut into two pieces. Heat coconut oil in a pan or clay pot and add finely sliced onions. Cook it until onion turns brown. 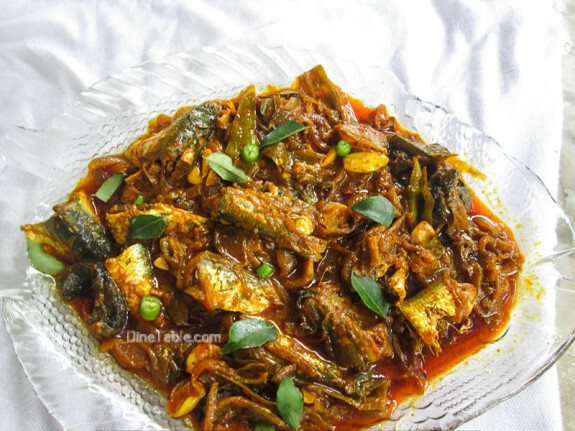 Add ginger, garlic, green chilies, salt, curry leaves and cook for a few minutes. Add red chilly powder, coriander powder, turmeric powder and saute it well. Add 2 cups of hot water to this. 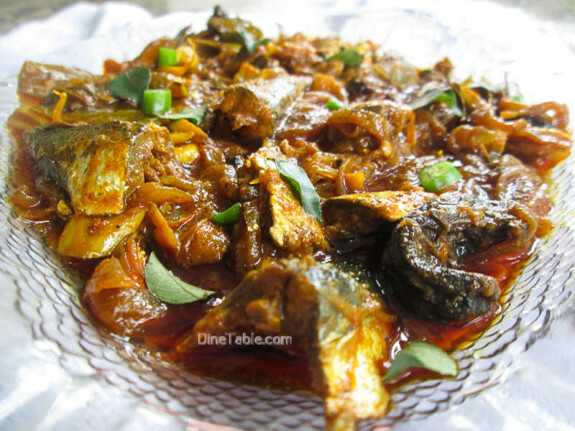 When it boils, add gambooge (Kudampuli), sardine, salt and mix well. Cover and cook on low flame for 10 minutes. Cook till the fish is done and the gravy thickens. 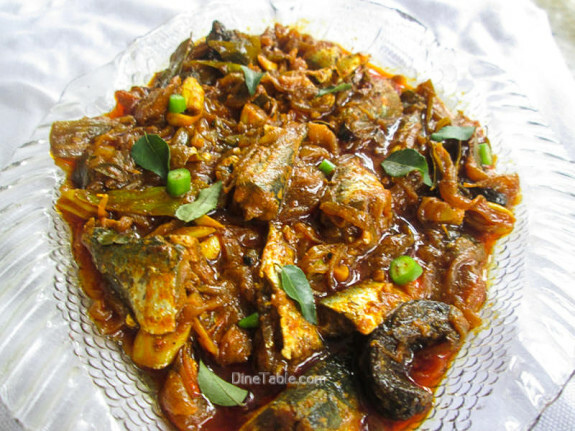 Tasty Mathi Roast / Sardine Fish Roast is ready.